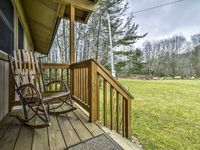 Property 1: 3BR/3BA plus Sleeping Loft in downtown Banner Elk - Sleeps 8, Mountain Cottage with Timeless Charm, Views of Grandfather Mtn, Hot Tub, Pool Table, Outdoor Fireplace, Fire Pit, and Screened Porch with Napping Swing! 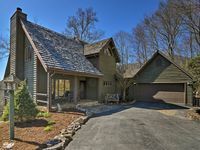 Property 8: Mountainside Banner Elk Home on 3 Acres! Property 12: Book now for Spring & Summer! Property 14: ONE OF A KIND GATED ESTATE!! PRIVATE TENNIS COURT! Beech Haven: 6br 5ba with Huge Yard, Tennis Court, River & Pond, and Much More! Property 15: Beech Haven: 6br 5ba with Huge Yard, Tennis Court, River & Pond, and Much More! Property 17: 3BR/3.5BA Cottage on Wooded Property, King Master Suite, Wrap Around Deck with Hot Tub! The house is very nice. I did see some reviews that the house was not super clean and I have to agree. The home was VERY dusty. Cobb webs on the beautiful wood stair rail and on all the furniture, but nothing a good deep clean couldn&rsquo;t resolve. The Master BR on second floor had no heat and a heater would be a great addition to that room. Our friends said the downstairs area was nice. The mattress in the bottom floor Master was at a downward slant. These are easy fixes to make this home perfect. I would definitely rent this home again.